I expected better of Alden, but he is more waffly than a waffle. why are the 'Protect South Sound' activists not saying or doing anything about the institutions (for whom they work) that are ripping up mangroves on the West Bay Road? Is this the usual Caymanian against Caymanian drama? Because they live in South Sound? Not dissimilar to the West Bay ladies, who have nothing to say about the South Sound project. We see Ezzard for North Side / We see Arden protest with East Enders / But has anyone notice where is Alden McLaughlin for George Towners in South Sound??? The current changes are design to make this government and its backers Big Money that is very evident especially the current minister who likes to playMr Benevolent, but when you see how their little crew and family are living large and the Bling is in your face whilst theaverage person is struggling to make ends meet. You Know What time it is ????? PPM TIME!! Well 7:29, you got the big balls today. And I commend you for your brave comment. TRUE words. Saw that. Childish isn’t it? And certainly lacking in taste and gravitas. 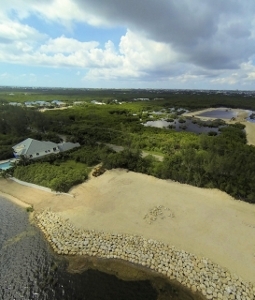 Are you telling the people on this island that this development is any different then the swampland you all are sitting on anywhere else in Cayman? Really ? How? Please explain? Where to begin, I don't think anyone objects to the plans on the inland side to develop house lots filled from the large excavation that were approved, even if the pools are a little on the deep side. What is a problem is getting a lawyer to convince planning that he can fill in the coast line in order to reclaim land that was never his in the first place. Imagine if you owned an oceanfront property and someone filled in a couple of hundred feet in front of you and built their house on that just because they found a lawyer who said they could, wouldn't have any problem with that? Heck don't know why no-one thought of it earlier, we can re-sell seven mile all over again, just have to put some fill on the beach. I am glad that the residents of South Sound are standing firm. I pray that you will win! So René has now effectively built out the upland. Might as well continue and put the cruise dock there. I saw this on Google Earth and was astounded. So very, very sad. Former Chief Surveyor Alister Ayres should have stood up and stopped this had he know that the planning permission was given as a result of an incorrect interpretation… but … RIGHT!!!!!!!? Shaking my head… So sad. He was former Chief surveyor before the the permission was given. i.e., wrong guy you're lambasting. Mr. Ayres has been one of the few people who have been willing to stand up and speak out about what they know is correct. He is no longer the Chief Surveyor – he no longer works for Government. He is speaking up because he is good citizen of this country. Why did the Chief Surveyor not act? Why did the Attorney General not act to protect crown land (the seabed in a Marine Replenishment Zone)? I understand he was asked to act. Why did the Minister of the Environment not act? The good people of South Sound have been trying thier best to fight this, however with very little help from the people in power whose duty it is to protect our natural environment and in this case Crown, that is Government, land. I think I can answer the three questions in the above comment. He's beentrying to move that road for years, every time he gets turned down he just tarts up the old application and tries again. The end game is to try and make multi millions from swamp land instead of just a few million. I wouldn't be surprised if he drops the current application and applies under the new rules. What is good for the goose must also be good for the gander. What is good for Beach Bay and applies to them will hold true for South Sound. In the event that the residents of South Sound think not remember there is a court of law and I know that the developer will not be afraid to use the advantage of the law. For too long we love to uphold two sets of laws on for the rich and the other for the poor not not anymore Bo Bo! What is good for Beach Bay is also good for South Sound. 10:14, I didn't know that Beach Bay was a Replenishment Zone that is going be dredged to accomodate a greedy developer? Beach Bay is building a new road where there is none now. SS is moving a road and putting in a canal. Chalk & cheetoes. A closer analogy would be WB Road. Chalk and dry erase marker. And a lesson for the SS crew. Don't let time pass before making legal challenges / requests for injunctions if necessarry, i.e., if any decision is ever taken. That is what has caught out the WB Ladies. By the time they filed their objection the practical decision point had passed, work had begun, even if they are technically objecting to a later decision (to close the road, not to build a new one) the court isn't going to try and roll-back money spent unless its completely egregious and a difference of opinion doesn't fall in to that category. So, if any decision is ever taken you need to immediately file an aplication for an injunction, to stop any action being taken, while you try and challenge the decision.